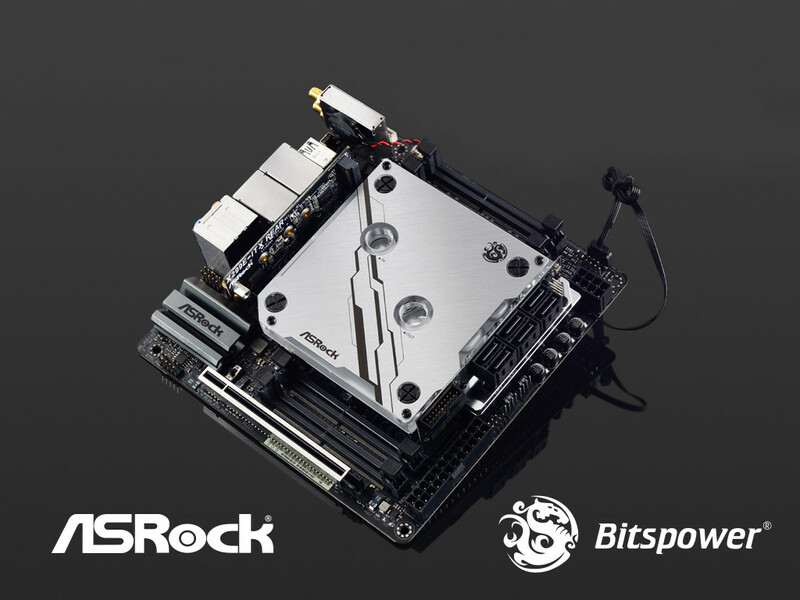 Mini-ITX boards are among the most difficult to produce. Their diminutive 6.7” x 6.7” dimensions leave little real estate for slots and ports, let alone the extra features that make ROG unique. We’re not willing to compromise your experience for a compact footprint, so it takes some time and creativity to make everything fit. 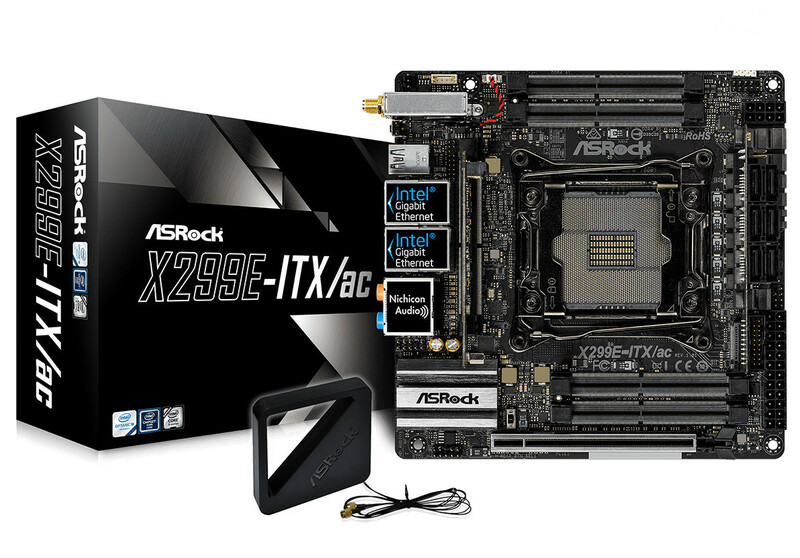 But it’s worth the effort, because our new Strix X370-I Gaming and Strix B350-I Gaming motherboards for Socket AM4 raise the bar for small-form-factor Ryzen builds. 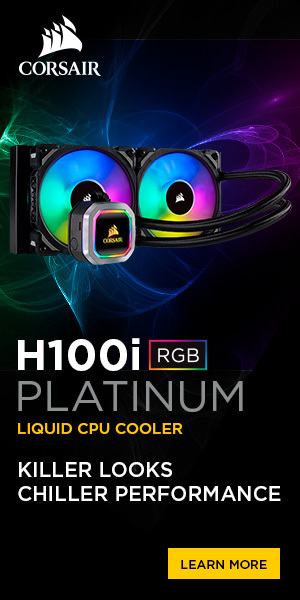 They match the cutting-edge features of their full-sized siblings, including liquid-ready cooling and addressable RGB lighting, and they combine an M.2 SSD heatsink and amped-up audio on an innovative riser card. 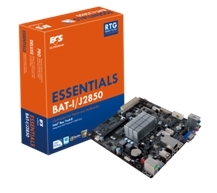 Elitegroup Computer Systems (ECS) today reveals its latest Mini-ITX motherboard line ― BAT-I ― featuring the new Intel® System-on-a-Chip (SoC) processor family, formerly codenamed “Bay-Trail”. Based on the new low-power consumption microarchitecture “Silvermont”, ECS BAT-I is the ideal solution for small-form-factor PCs and AIO systems. With a maximum power consumption of 10W, BAT-I delivers power efficiency and features a fan-less heatsink design. The Bay Trail-D processor line is the first Intel®SoC platform and is also the smallest-ever package for desktop processors. Three SKUs are available: Intel® Pentium J2850, Intel® Celeron J1850 and Intel® Celeron J1750. ECS BAT-I also has electrostatic discharge protection (ESD) and 100% solid capacitors around the CPU and memory in order to maximize reliability and longevity. 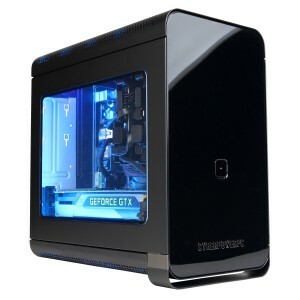 CyberPower Inc. www.CyberPowerPC.com, a global manufacturer of custom gaming PCs, today announced a mini ITX-based gaming rig that packs all the hardware enthusiasts crave in a chassis that measures just 6.6 wide x 12 high x 12.1 inches deep. 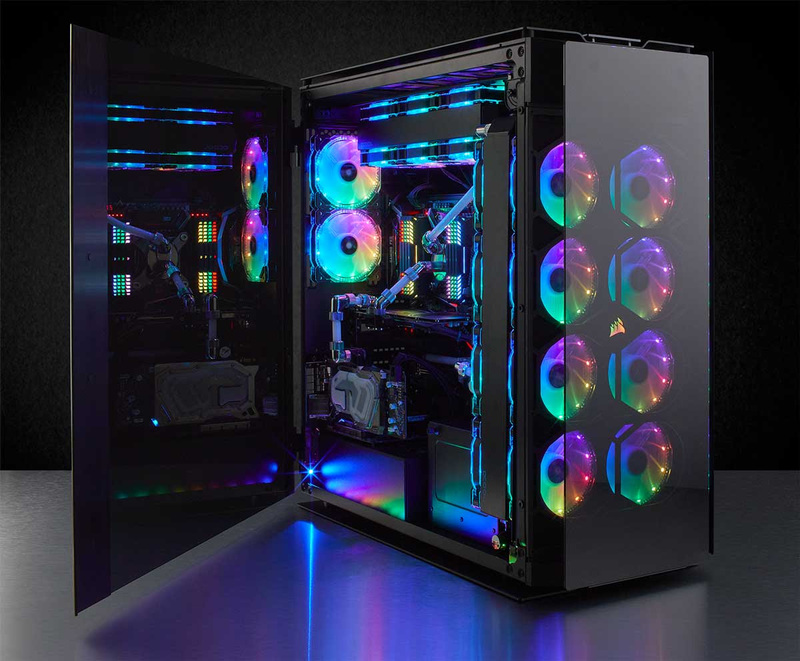 The CYBERPOWERPC Hadron AIR Gaming Rig makes no compromises. 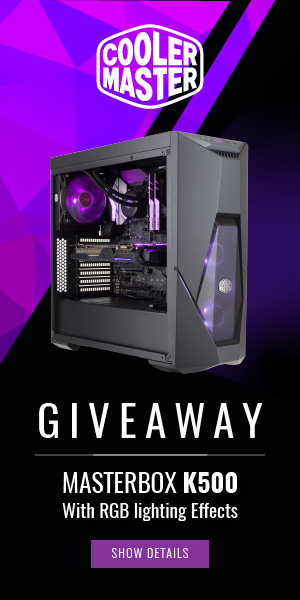 It has been designed for the PC enthusiast with the power and headroom to accommodate the latest PC gaming hardware and titles including support for Intel® Core™ i7 Haswell processors and full size GeForce GTX Titan or AMD R9 290X graphics cards. The Hadron AIR Gaming PC is based on EVGA’s Hadron Air Mini ITX chassis featuring a minimalist sleek front panel and powered by a 500 watt Gold rated power supply. CYBERPOWERPC will also offer an exclusive liquid-cooled version set to release in the near future. ASUS today announced Maximus VI Impact, a mini-ITX gaming motherboard based on Intel Z87 chipset for the latest 4th generation Intel Core processors. Maximus VI Impact is the first ROG mini-ITX motherboard to be fully loaded with exclusive gamer-pleasing innovations and proves size is no longer an indicator of performance. 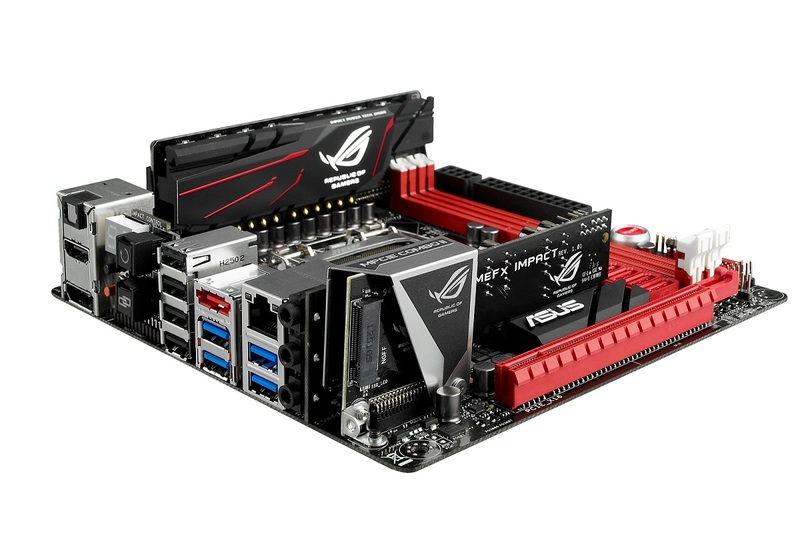 It features the SupremeFX Impact discrete sound card for best-in-class 115 dB SNR audio and Impact Power digital power-management technology for the same renowned overclocking control as ROG full-size ATX motherboards. Maximus VI Impact also takes connectivity to the next level with onboard 802.11ac Wi-Fi and Bluetooth 4.0.